Friday, February 3, I went to the great new French Bistro & Bar, La Brasserie in La Quinta to have dinner and hear Mikole Karr entertain. I heard Mikole last year at the Coachella Wine Festival and recently found out that Mikole was playing at La Brasserie on Friday and Saturday. Last time I heard Mikole he only played sax but tonight outside on the patio area, Mikole also played wonderful clarinet, keyboard and sang. Tonight's selection of songs were mostly from the "Great American Songbook" and Mikole played with a softness that matched the songs perfectly. 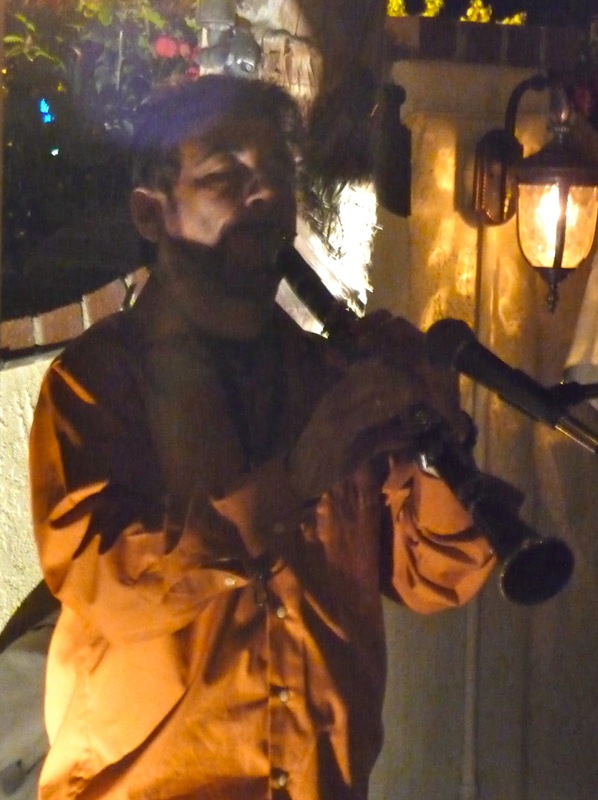 But don't underestimate Mikole's ability as he can play traditional Jazz as well as any performer. In fact, Mikole plays real Jazz every Tuesday night at the Palm Springs Tavern with a great group of talented Jazz musicians. 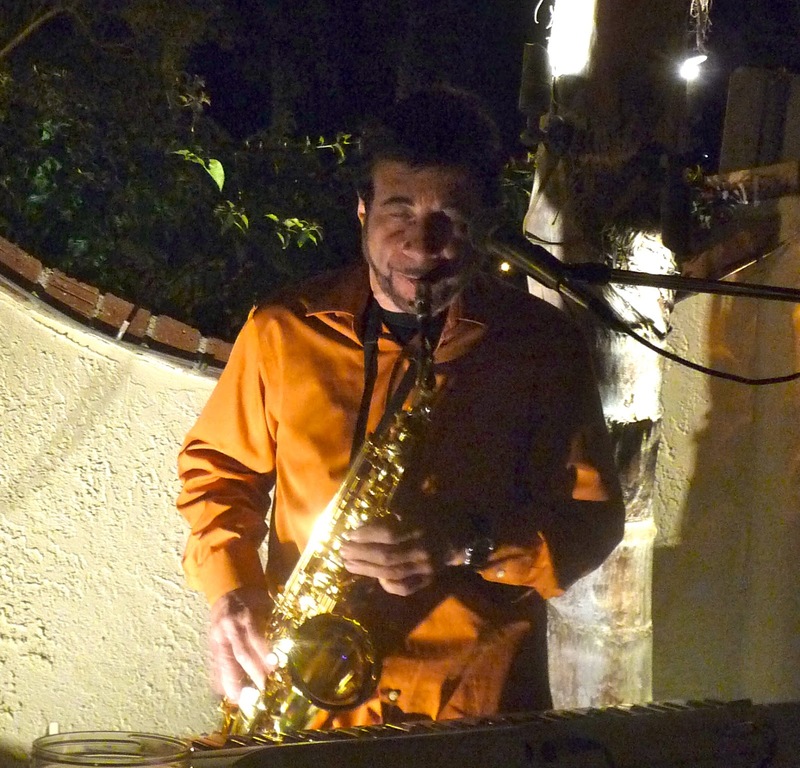 La Brasserie has great food and eating outside with the soft sounds from Mikole make for a wonderful romantic evening. I will be catching Mikole's act at the Palm Springs Tavern in a couple of weeks. In the meantime, you should get over to La Brasserie and experience eating great food outside while enjoying the smooth sounds of Mikole Kaar.